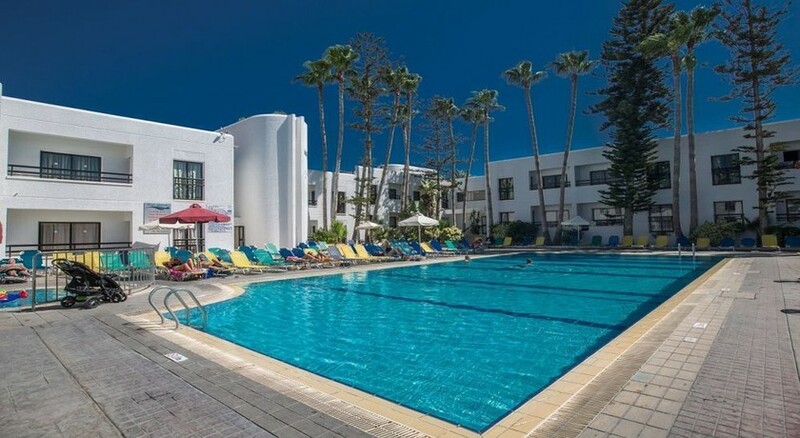 The perfectly positioned Anthea Hotel Apartments can be found in central Ayia Napa within easy walking distance from the golden sand beaches that line the coast. This is a popular place for younger travellers to stay at, typically coming to explore Ayia Napa’s internationally famed party scene, though families are welcome and it’s an ideal stay for those on a budget. Larnaca Airport is situated 45km away, meaning a taxi or hire car journey will have you to your hotel in under an hour. At the Anthea Hotel Apartments, you can enjoy one of the three swimming pools as well as a children’s pool. There are also three pool bars with which to pick up a refreshing drink or snack as you take it easy. 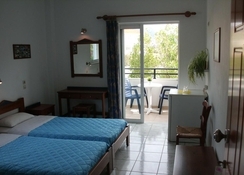 Rooms here are clean and comfortable with essential facilities such as private bathrooms, air-conditioning and telephone. Being in the heart of Ayia Napa you’ll be able to reach waterparks, restaurants and bars all very easily. The nearest airport is Larnaca International Airport, located just 45km from the hotel. Anthea Hotel Apartments convenient central location mean that you are no more than five minutes from the heart of Ayia Napa where you’ll find great restaurants, museums and shopping. Whilst a five-minute walk in the opposite direction, south and you can be enjoying the golden sands of Lokkoukos Tou Mandi Beach. There are two waterparks both located opposite the hotel that can be reached within a couple minutes’ walk. 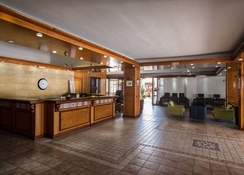 Your accommodation at Anthea Hotel Apartments will provide you with a comfortable and clean stay. There are 200 units across the complex and these comprise of studio rooms and one-bedroom apartments. Both rooms types feature standard amenities such as air-conditioning and heating, telephone, private en-suite bathroom and additional sofa bed. You’ll also find a kitchenette enabling you to prepare food and drink back in your room. Apartments tend to have greater living areas and as such will be more spacious, lending themselves well to families. There is a restaurant on-site as well as a coffee shop and a bar and lounge, in addition to room service. Of course, you’ll want to sample some of the great food and drink options in Ayia Napa and fortunately, you won’t have to wander far from the hotel to find great options. Nearby Tony’s Taverna serves traditional Cypriot and Greek fare for an authentic sampling of island cuisine. Perhaps more familiar will be the world-famous Hard Rock Café restaurant, located less than a mile north and serving international favourites like great burgers. Ocean Basket is the place to go for fine, fresh Mediterranean seafood with its beautiful locale overlooking the Mediterranean Sea. Anthea Hotel Apartments itself features a games room and pool table and three swimming pools in addition to a separate pool just for children. Pools are surrounded by a terrace with sun beds and umbrellas helping you to make the most of your time outside. Great outdoor family or friends fun can be had at the two waterparks a mere two-minute walk from the hotel. Parko Paliatso Luna Park will please visitors of all ages and features more thrill rides whilst Ayia Napa Fun Park caters more towards little ones. Those coming for the nightclubbing scene needn’t venture far to find a great night out on the town. Popular nightclubs such as The Castle Club, Soho Club, River Reggae and Napaman are all just a five-minute walk from the hotel. Alternatively, you can take it easy at Limanaki Beach or Katsarka Beach less than a mile away.